Noida Extension: the real estate hot spot | Saviour Builders Pvt. Ltd.
Noida Extension a 4,000-acre land chunk, with Ghaziabad, the Hindon River and a few sectors of Greater Noida around its boundaries, is today buzzing with activity as almost 75 real estate developers are ready with a slew of projects offering 1/2/3 BHK housing properties at affordable rates. With low property rates in comparison with other parts of Delhi, Noida Extension has become a favourite for those who wants own a house in Delhi. As per the Magicbricks.com data, the area has the lowest property prices in Noida, and is fast becoming a residential hub. The prevailing rates of property fall between Rs 2,700 and Rs 3,500 per sq ft in Noida Extension, whereas property starts from Rs 5,000 per sq ft in Noida and Rs 9,000 per sq ft in Delhi. The realtors dealing in this area are registering a large number of transactions. “We are booking over 40 units per month for various builders in Noida Extension”, says a consultant from a property brokerage firm. There are more than 70 projects available for booking in Noida Extension by famous builders like Gaursons Group, Ajnara India Ltd, Amrapali Group, Antariksh Group, Nirala Group, Supertech Developers and AVJ Group among others. Possessions for most of the projects are expected within a period of 2 to 3 years. 2 and 3BHK are the most preferred configurations by buyers as well as developers in Noida Extension. A 2BHK unit in Noida Extension is available in size of 800-850 sq ft, where a 3BHK unit covers 1,300-1,400 sq. ft. area. “There is a blend of investors as well as end-users in buyers for property in Noida Extension. However, working class of Delhi and NCR constitute the major part of the buyers. We receive a huge clientele from Delhi and NCR due to affordable prices. We see a lot of end-users working in areas like Delhi, Noida and Greater Noida, who commute from here on regular basis”, says Ashok Gupta, managing director, Ajnara India Ltd. Ajnara India. Noida Extension provides very promising connectivity to Greater Noida, Noida as well as Delhi. With proposed metro line coming to Noida Extension by next year, there are brighter prospects for better connectivity and demand in the area. With the infrastructure and real estate developments at pace in Noida Extension, the capital values of property in the area are also anticipated to rise. “We may see the rates touching Rs 5,000 per sq ft in Noida Extension in coming 2 to 3 years” says a realty analyst. Arvind Singh, managing director, KRASA Group says, “We have been watching Noida Extension from the very beginning. After the initial hiccups the area has come full circle with huge demand and property prices soaring. 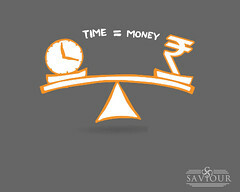 The best time to invest in any area is during its initial growth when one can expect very good returns on investment. In fact, the development in Noida has boosted the demand in all the nearby areas. People who cannot afford to purchase a house or looking for 2 BHK in Noida can certainly go to such new areas where they can afford houses or upgrade their houses from a 2bhk in Noida to a 3 BHK in Noida Extension (Greater Noida West)”. Roopak Jain, vice president, BRYS Group says, “Such newer areas actually fill in the gap which otherwise can’t be satisfied in Noida. Noida actually has a huge housing demand and with prices in Noida sky rocketing and with scarcity of land these newer areas provide cushion to the ever increasing demand”. Posted on November 19, 2013, in Real Estate and tagged Affordable Flats In Greater Noida, Real Estate Company in India, Real Estate Developers & Builders In Delhi NCR, Sanjay Rastogi, Sanjay Rastogi Builder. Bookmark the permalink. Leave a comment.